Is Everyone Ditching Their "Traditional" Leggings for This Style? We have been fans of leggings for a long time now—that’s no secret. It’s tough to beat the flattering style to wear everywhere from the gym to a weekend coffee run to a comfortable outfit for the airport. But as the athleisure trend is rising and seemingly knows no bounds—there’s a new style we’ve started seeing everywhere and we don't know if you'll be ready for it: drop-crotch joggers. The silhouette is more relaxed than leggings and can also easily transition to looks that work outside the gym, true. Try pairing yours with a cropped tee and trainers for a workout, or wear them with a voluminous top and pointed leather mules for a street style look. You can even follow Bella Hadid’s lead and make them work for the airport by wearing them with a bomber jacket, leather tote bag and cool embellished slides. Keep reading to shop our favourite pairs of drop-crotch joggers. Just add white trainers and a grey marl tee. For everyday wear, try a slim-fit, wrap style jogger. A high-waisted option with a crop top is both flattering and super comfortable. Wear these grey marl joggers as an easy cover-up before and after a workout. 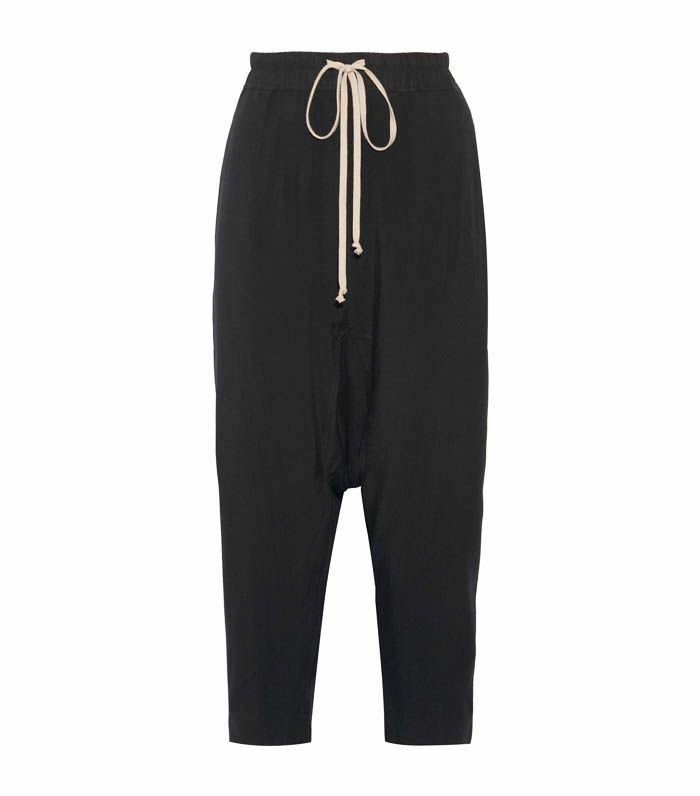 Wear these joggers with a leather jacket and chic trainers while running errands. Fashion girls are loving this high-quality workout label. A bomber jacket instantly elevates your workout outfit. After a workout class, keep your muscles warm with these chic joggers. Pair these drop-crotch joggers with a sports bra for a hike. When the weather transitions, loose joggers are perfect for a run outside. Looking for your first pair? Here is the most basic drop-crotch style to try. These joggers always sell out—and we can see why. Next up, how to wear a denim shirt now and forever.